Skywatch Friday – The sky adorns a bindi ! | Highway - the only way ! Skywatch Friday – The sky adorns a bindi ! The sky seems to be in a mood to look pretty. The mountains become her shapely eyebrows and the setting sun her beautiful “bindi” as she decides to give us a pose for this week’s Skywatch Friday. Doesn’t it also remind you of those paintings you made as a kid? 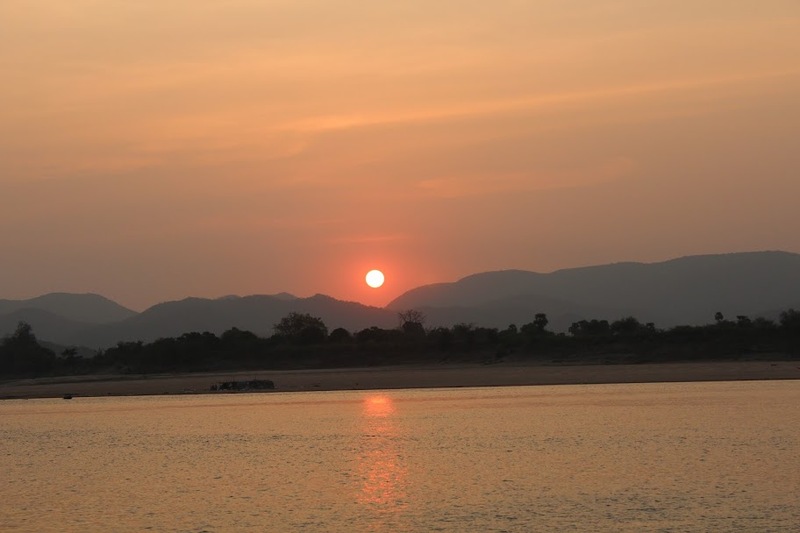 The sun setting exactly between two mountains, with a river flowing below – our childhood paintings did seem to come true at the Papi Kondalu hill range, India. simply breathtaking….happy weekend to you! Thanks a lot…you have a great weekend ! Wow — so very gorgeous!